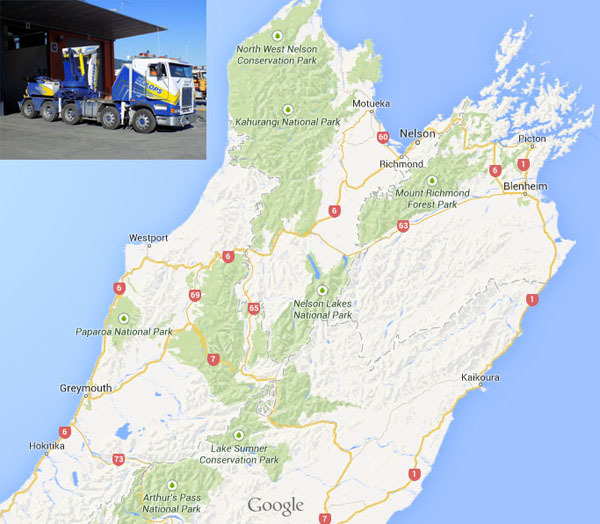 Heslop Motors have the only purpose built Heavy Salvage Vehicles in the Nelson/Marlborough Districts. We are licensed salvage operators with fully licensed operators and are available 24 hours a day for accident or breakdown recovery. Our Freightliner and Kenworth vehicles are certified to tow fully loaded units or we have 2 SCANIA tractor units for clean up requirements. We have 3 fully licensed heavy transport salvage operators experienced in repair and any salvage requirements. We put safety first so you can trust us with your equipment.